The adidas ZNE Hoodie 2.0 for women makes it so much more easier to get your head in the game. 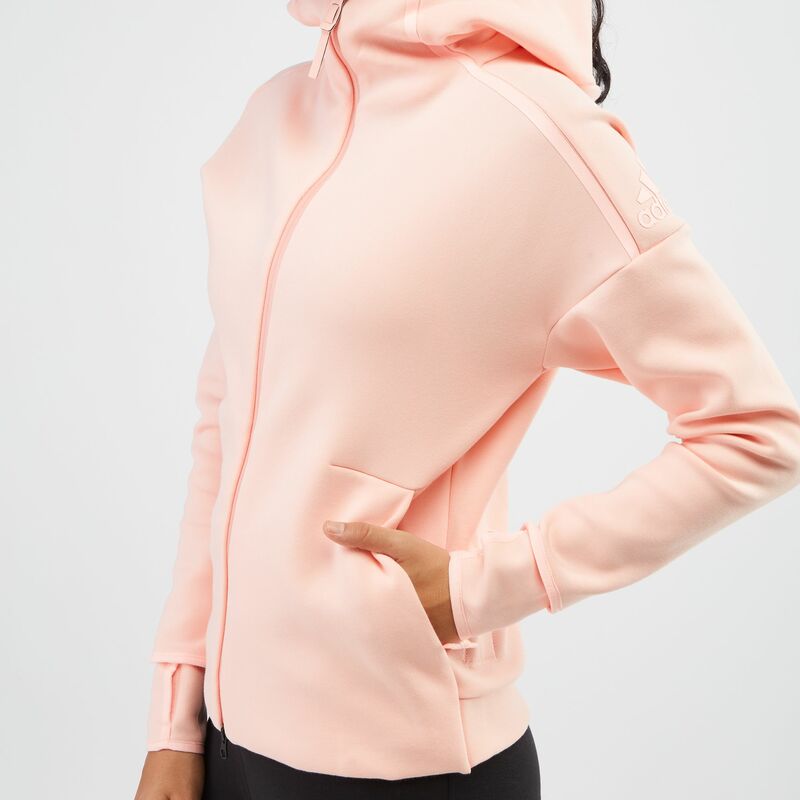 Tuning out the distractions, the double layered hoodie doubles up in keeping your head protected as well as minimizes noises as you ready up for your time to shine. The high funnel neck covers up your mouth as you discuss strategies in swinging the victory in your favor.